This past winter, El Nino provided California with much needed rain that filled its lakes and sent snow to stockpile in the Sierra Nevada mountains. But just because California is seeing rainfall, it doesn’t mean the drought is over — and it certainly doesn’t mean that the threat of climate change is diminished. This year’s Academy Award winner for best actor, Leonardo Dicaprio, told us how he feels about climate change during his Oscars acceptance speech on Feb. 28. “Climate change is real, it is happening right now,” Dicaprio said. “We need to work collectively and stop procrastinating. El Nino is not the only factor influencing the climate system. 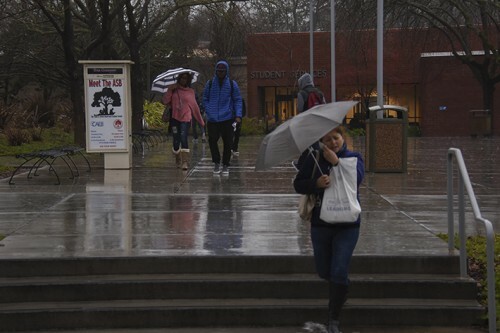 The rain received this season is promising for Californians, however, the amount of rainfall California will receive in the future is not certain. What is certain is a hot, dry summer where we will still have a legal obligation to conserve water. 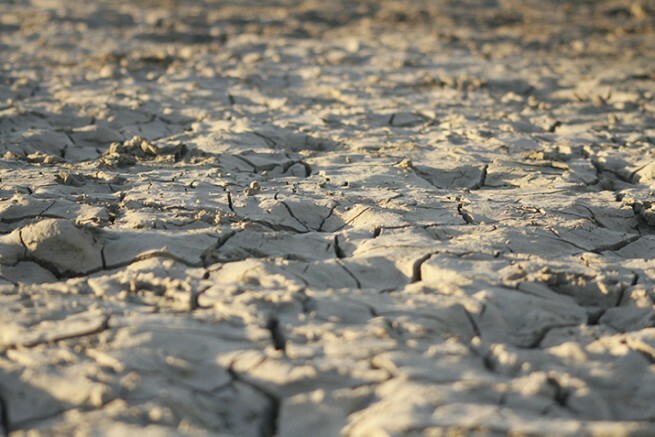 Despite recent rainfall, Californians will still experience a severe drought this summer. On Feb. 2, 2016 the State Water Board adopted an extended and revised emergency regulation to ensure that urban water conservation continues in 2016. The regulation extends restrictions on urban water use through October 2016. “Many of the larger reservoirs in northern California and southern Oregon are still below half of capacity,” the Drought Center noted in its January 28 report. The Sierra Nevada snowpack plays a critical role in California’s water supply, providing more than 60 percent of California’s developed water and 75 percent to 80 percent of California’s freshwater. The snowpack in California’s Sierra Nevada this year has fallen to its lowest level in at least the past 500 years, according to a study published in Nature Climate Change. This precious resource has dwindled in the past few years and is threatened by future climate change, according to Frank Gehrke, who serves as the chief of snow surveys for California’s Department of Water Resources. Californians should still do all they can to conserve water this summer — some Californians have redesigned grassless lawns with stone pathways and gravel. Other simple ways to save water are turning off the tap while brushing your teeth, playing a song to keep showers under 5 minutes, or as the saying goes; if it’s yellow, let it mellow. 2 Comments on "Opinion: El Nino won’t solve the drought"
Why don’t you look beyond the rhetoric supplied by the state annd research the actual data. On March 8th Folsom lake set an all time high in water level for that date yet you lead with a photo of dried mud. The floodgates at Folsom are open because they’re afraid of losing flood control. Shasta Lake, the largest reservoir in the state, is 75% full and rising rapidly. We are no longer in a drought. We have a water shortage because we don’t have enough storage to support our population and agricultural needs. By the way, I do believe the climate is change, but you’re talking two separate problems. A water shortage caused by population growth without parallel infrastructure growth is not a drought. Increased drought in dry areas. In drier regions, evapotranspiration may produce periods of drought—defined as below-normal levels of rivers, lakes, and groundwater, and lack of enough soil moisture in agricultural areas. Precipitation has declined in the tropics and subtropics since 1970. Southern Africa, the Sahel region of Africa, southern Asia, the Mediterranean, and the U.S. Southwest, for example, are getting drier. Even areas that remain relatively wet can experience long, dry conditions between extreme precipitation events. Expansion of dry areas. Scientists expect the amount of land affected by drought to grow by mid-century—and water resources in affected areas to decline as much as 30 percent. These changes occur partly because of an expanding atmospheric circulation pattern known as the Hadley Cell—in which warm air in the tropics rises, loses moisture to tropical thunderstorms, and descends in the subtropics as dry air. As jet streams continue to shift to higher latitudes, and storm patterns shift along with them, semi-arid and desert areas are expected to expand.